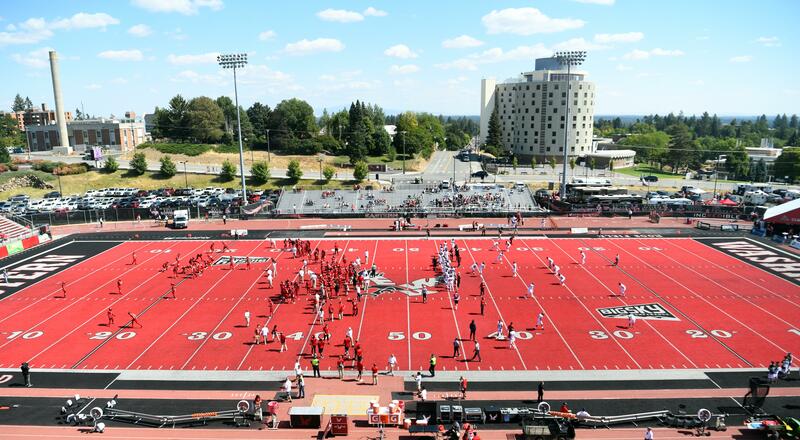 Eastern Washington is moving ahead in its fundraising plan for a renovated football stadium. EWU announced Thursday that for its predesign services it has hired ALSC Architects of Spokane, a firm that will address “possible enhancements” for students and fans at Roos Field. ALSC, which has worked on other projects on the EWU campus over the last 20 years, has invited donors, students, coaches, faculty, alumni and board members to participate in focus groups to discuss renovation ideas. EWU said it hopes to have the predesign work completed no later than January. Hickey told The Spokesman-Review on Thursday that more seating, improved fan amenities, restrooms, concessions, athletic offices and training facilities are a focus of the project, which she said would likely be done in phases. “It’s a huge venue on our campus, so to upgrade the look and the quality, that would be important to improving the look of our school and giving the students and fans a great experience,” Hickey said. Hickey, who has hired last spring, couldn’t give an estimated timetable of the project’s completion. “You have to have the money before you starting digging,” Hickey said. A previous renovation plan presented in 2012, The Gateway Project, didn’t gain enough traction and ultimately failed. The nearly $60 million plan included 10,000 seats and luxury boxes. Published: Nov. 8, 2018, 6:18 p.m. Updated: Nov. 8, 2018, 6:38 p.m.